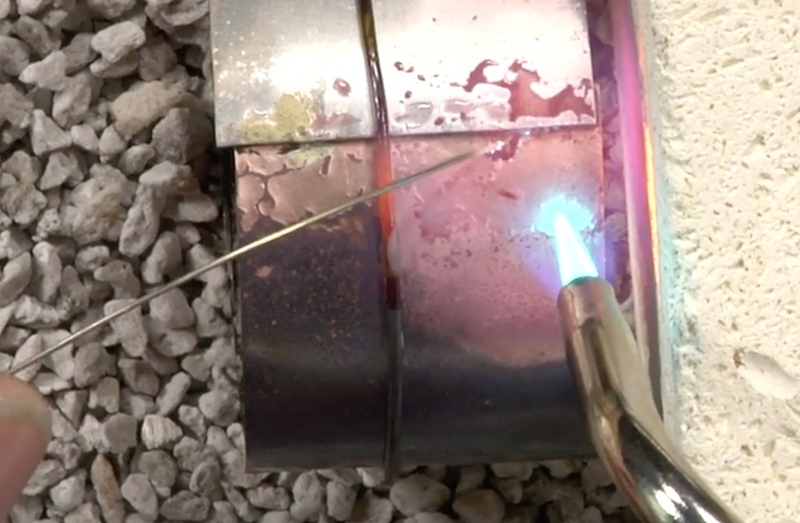 Pressing metal until it buckles leads to surprising and beautiful designs, as metalsmith Richard Sweetman shows us in his online workshop, Crushed Metal Cuff. 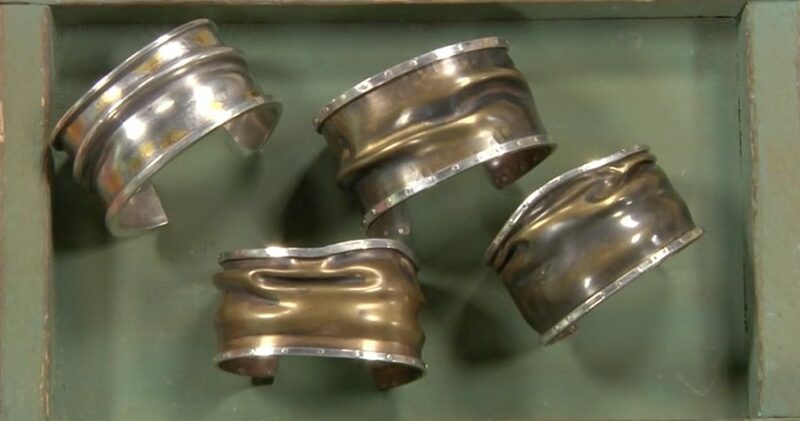 This workshop is a wonderful complement to his many other tutorials on texturing and forming metal, including Get the Most Out of Your Rolling Mill and Jewelry Basics for the Hydraulic Press. ABOVE: Crushing metal with a hydraulic press will result in a unique look each time. 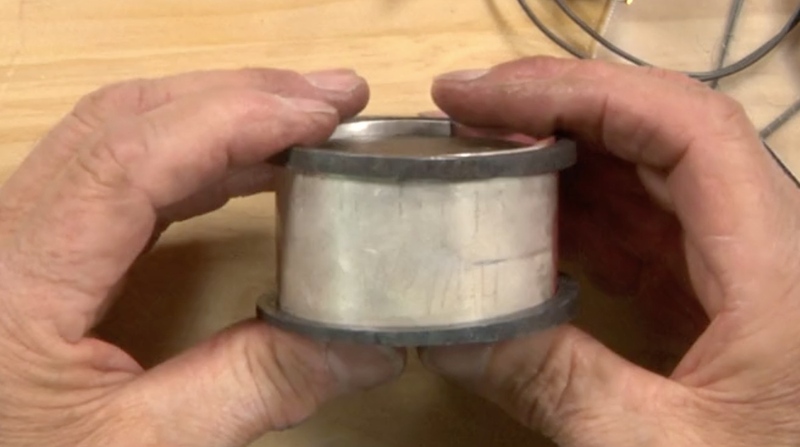 Put your hydraulic press to work making a crushed metal cuff. There’s something inherently satisfying about crushing metal. Just as a rolling mill is impossible to resist if there’s one near you, a hydraulic press also oozes that “come play with me” vibe. 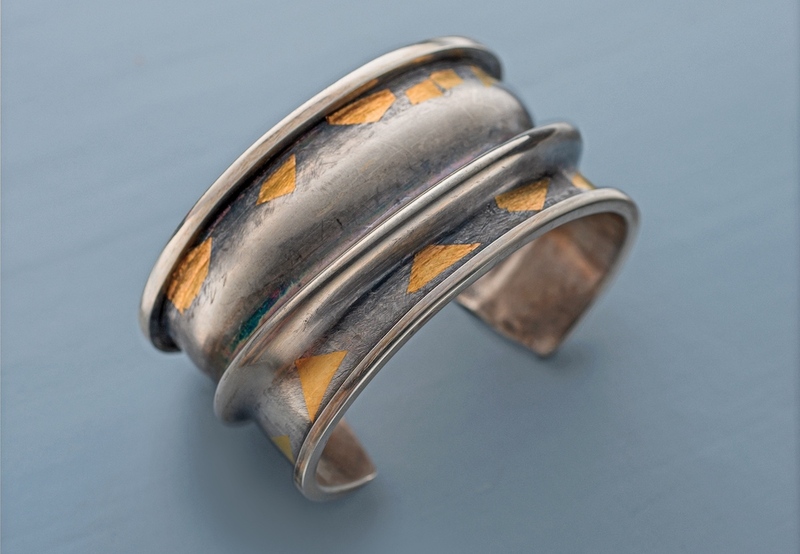 In this workshop, not only will you learn a creative application of the hydraulic press, but you’ll also follow along to make a unique project — a cuff with one-of-a-kind wrinkles in the metal. Richard covers everything you need, from the metal and urethane donut to a range of tools such as a jeweler’s saw, hammers, mallets, and mandrels. The cool thing about this workshop is that Richard demonstrates a whole range of skills needed to achieve the final cuff. He takes us through fabrication techniques like cutting, soldering, and forming in addition to the actual crushing in the press, and he ends with a variety of finishing options to consider. Richard forms the metal strip around the urethane donut. I’ll admit I had no idea how much work goes into making a cuff BEFORE the crushing aspect even comes into the picture. 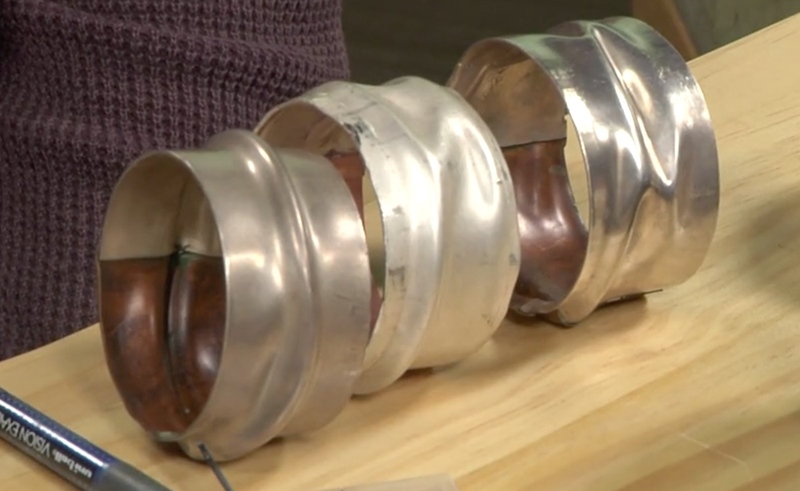 Richard demonstrates everything in detail, so there’s no way to get lost, from how to choose the right gauge of metal to how to form it around the urethane donut using your hands, a mandrel, and a mallet. Richard demonstrates how to solder the metal into a complete circle. You can’t skip this step! Once he secures it tightly with wire, it’s time to solder the metal ends together. Why is this important? It turns out that the metal has to be soldered in a complete circle, otherwise the donut can shoot out across the room in the pressing process. So, yes, I’d say that’s pretty important! Plus, you get to learn (or review) the basics of soldering with white flux and wire solder. There’s one more task involved before you can move on to the best part. The two steel rings for the donut must be able to fit over your cylindrical metal, one over the upper edge and one over the bottom edge. It’s imperative that the steel rings fit over your metal before pressing the cuff. As you can imagine, it can be quite difficult to force those rings on. I appreciate the fact that Richard’s cuff is a stubborn one, as it lets us see exactly how he handles the situation — and succeeds. Add a few dents before loading the cuff into the hydraulic press. Then watch the magic happen. Whether for luck or for some reason of physics, Richard adds three dents in the cuff with a hammer. And then – into the hydraulic press it goes! It’s impressive to watch something as sturdy as metal ripple and give way. Each time you crush something, the wrinkles will be different, and that’s part of the beauty of the process. Each crushed pattern is unique. Enjoy its personality, even if it’s different than you expected. As someone who not only uses the hydraulic press but also makes his own press models, Richard knows a thing or two about employing it in your designs. 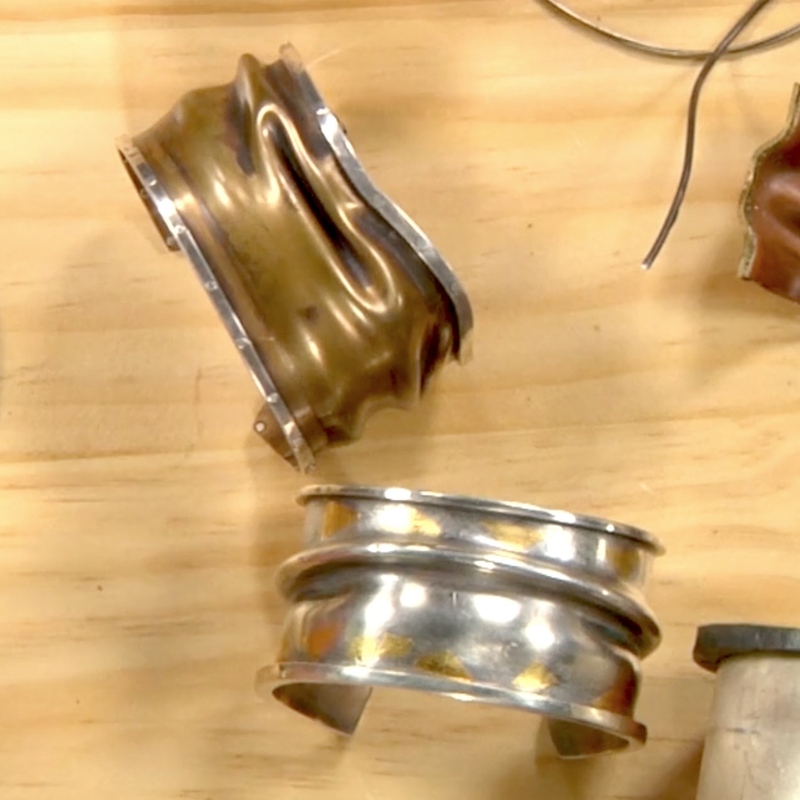 Here are some great tips for making a crushed metal cuff. To achieve the best wrinkles, the metal for your cuff should be 1/8 to 3/16 of an inch taller than the urethane donut you form it around. Before pressing your cuff, try this trick: Grab a steel hammer and put three random dents in it. While there are no guarantees, dents often encourage the metal to wrinkle. Every single crushed metal cuff will turn out differently, so don’t be disappointed if yours doesn’t look exactly the way you thought it would. You get what you get, and then use your imagination to turn it into a project! 4. Quit while you’re ahead. Crush the cuff until you feel quite a bit of resistance on the press. Don’t keep going; crushing it more doesn’t necessarily result in better wrinkles. Once your cuff is crushed and cleaned up, leave it as-is or to add final details. Consider adding edge work, stones, keum boo, patinas, or any number of modifications. The upper cuff has an edge that has been riveted on, while the lower cuff has a soldered edge. To get started crushing today, check out Crushed Metal Cuff. 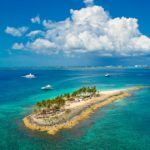 For a great deal, subscribe to Interweave’s Jewelry and Beading Online Workshops and access all of Richard’s workshops as well as our growing library of beading and jewelry making classes. Crush, roll, and forge metal with Richard Sweetman!